Nathan J. Dineen practices 100% OWI Defense in eastern Wisconsin. Nathan is a Partner at Vanden Heuvel & Dineen, S.C. He has been nationally recognized as a leading OWI Defense attorney in Wisconsin. In 2013, Nathan was named to the “Top Up & Coming Lawyer” list by Wisconsin Law Journal. In 2014, he was recognized by the National Trial Lawyers Organization as Top 40 Under 40 Trial Lawyer. AVVO, an independent attorney rating service, rates Nathan a 10/10 Attorney Rating for DUI/OWI Defense and continuously recognizes him as one of the best in Wisconsin. He earned the American Chemical Society – Chemistry and the Law Division (ASC-CHAL) designation in October, 2014. Nathan is a trained instructor of Standardized Field Sobriety Testing (SFST) and Drug Recognition Evaluations (DRE). He has taught SFST and DRE administration and trial tactics to attorneys from across the state. 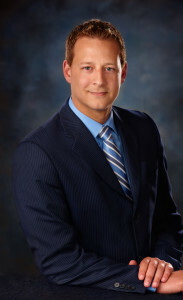 Nathan is a Founding Member of the DUI Defense Lawyers Association, and member of the National College of DUI Defense and Wisconsin Association of Criminal Defense Lawyers.